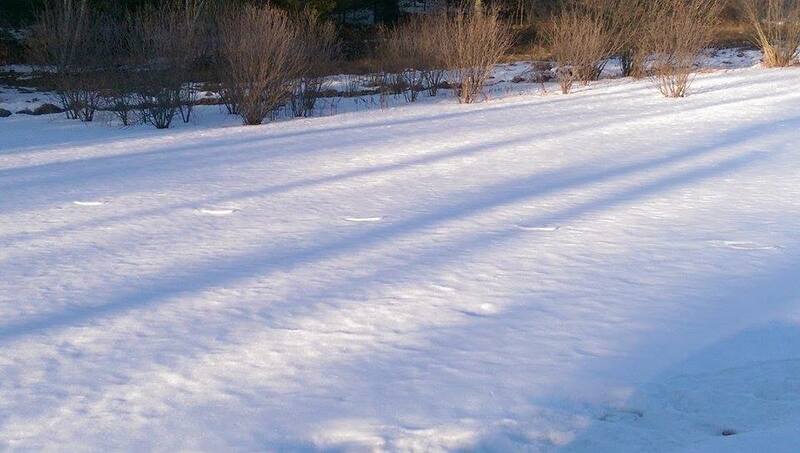 I recently found a possible old trackline in the snow. The stride is 5 foot or more. I didn't move the tape measure between the photos on the left. The pattern and stride of these track seem to be consistent with a bigfoot trackline. 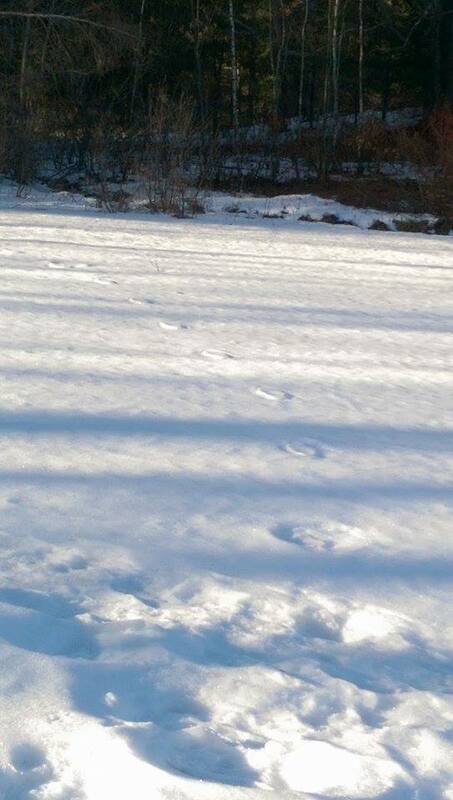 Of course with what appears to be some snow melt or possible blowing snow, I can not see any definition of toes. There appears to be 13 individual tracks in this line that lead off into the woods. 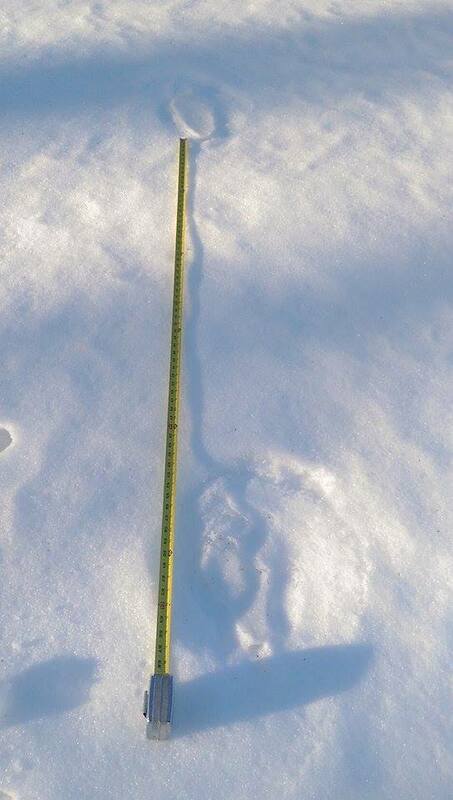 The snow is about 6 inches deep and the tracks seems to have made a pretty deep impression. This suggest that what ever made these tracks was probably pretty heavy. 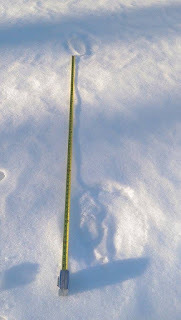 Close up of one single track. 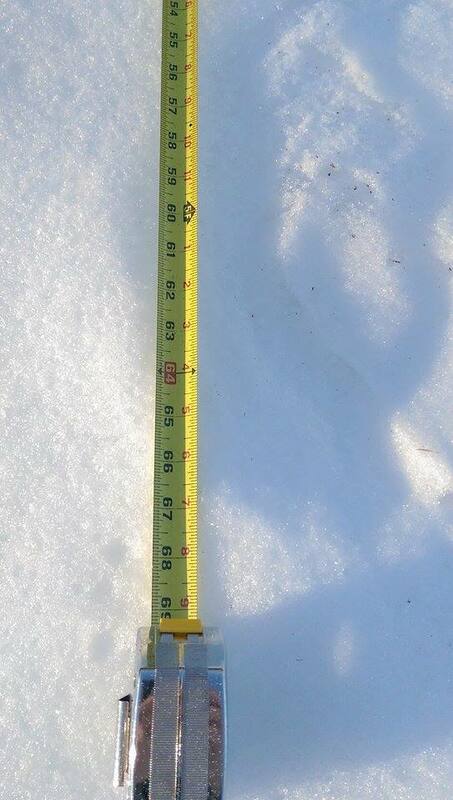 Appears to be about a 13-14 inch track. Another view of the track line leading up into the woods. Of course, in the end I can not say for sure what made these tracks, but I also can not rule out that a bigfoot might have made them. 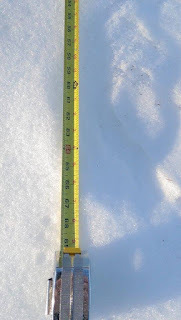 Also, I should mention that these were found in New Hampshire on Feb. 18th . I did follow the tracks into the woodline, I didn't find much. The tracks went to a bare area, and I lost them. This post/report from TCC Team Member Jason Morse. 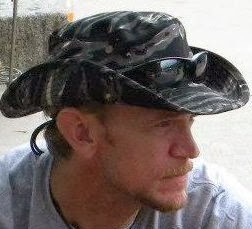 Jason is a lifelong outdoor enthusiast, trained in wilderness survival tactics, a 26 year martial artist, DJ, EMT and amateur writer. Jason conducts bigfoot field research, witness interviews and more for The Crypto Crew.